DENVER — For some, it was an inspiration; for others, an opportunity. 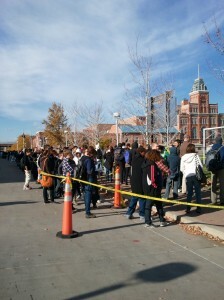 For the future of Metro State students, last week’s presidential visit was groundbreaking. Krey, who is also MSCD employee, waited in line to pick up tickets for President Obama’s speech for two hours, and then waited an additional hour and a half to get into the event center for the speech. “I already knew, for the most part, what he would be discussing. I was very curious to see him in person and see how all the students would react to him,” Krey said. 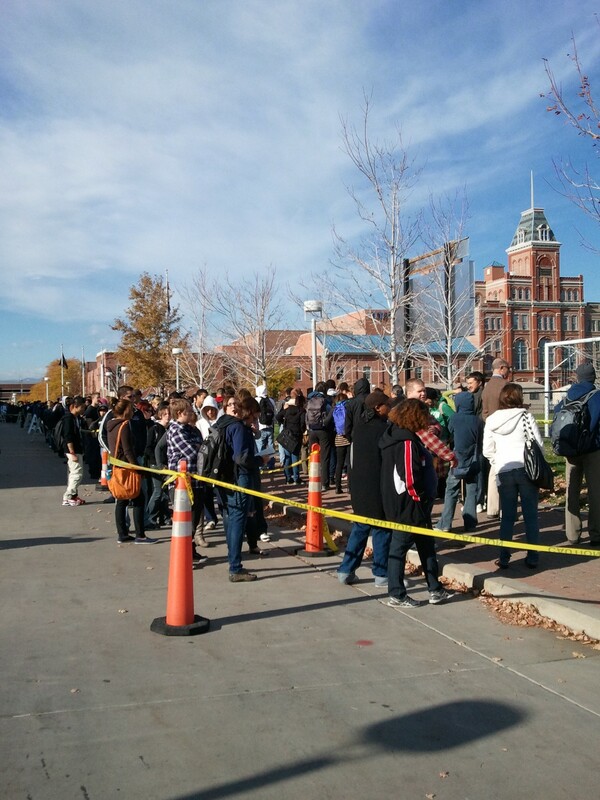 During the presidential address on the Auraria campus last week, Krey and thousands of others witnessed the debuted of Obama’s updated student loan plan to ease the financial burden on college graduates. The plan, which was approved by Congress last year and slated to take action in 2014, has been moved up to start in 2012, and will lower students’ required payments from 15 percent of their discretionary income to 10 percent. After 20 years, the remaining debt will be forgiven. Over a million students will be aided by this plan, including many of Metro’s own. However, not all indebted students will be helped by this plan. Those already in default and those with loans from private lenders, for example, will not be covered by the initiative. But for a state like Colorado, whose public education system has been on the downhill slope for years, this program is especially important. In the Colorado election on Nov. 1, Proposition 103, which proposed a tax increase to fund the struggling public school system, was voted down, as have the majority of the bills of its kind. “I don’t think that Colorado can maintain the quality of public education at the level of public funding that we’re at now,” said Dr. Robert Hazan, chair and professor of Metro’s political science department. By the end of the year, student loan debt in the United States will exceed $1 trillion, bypassing the amount of U.S. credit card debt. To make matters worse, according to a May 18 article in the New York Times, college graduates are having an increasingly difficult time finding jobs. Only 56 percent of the class of 2010 had found a job by spring of 2011. Also, an increasing number of college graduates are settling in jobs that don’t require a degree. From 2006-2010, $20,000 was the median amount of student loan debt. Students are having an increasingly difficult time juggling both the rising cost of living and their ballooning loan payments. Now, as Obama has been touring the country and speaking of his plans to help bolster the economy, the plights of struggling college graduates have been gaining more and more attention. “I think there was very little discussion up until now on student loans and students’ indebtedness and now it’s becoming a major issue,” Hazan said. An issue, he said, that is far too large and too complicated for this plan to completely solve. Though the plan is certainly not perfect, as Rucki points out, it is progress towards a solution. Krey, like many students, will not be immediately affected by the loan plan, but he agrees that it is a step in the right direction. Good story. It seemed to drag on a little but you seemed to get your point across as well. Interesting story, alot of facts but you kept it from being too dry. Got a lot of information in there, and you presented Obama’s bill very succintly. Nicely done. The intro was a little fawning. More booster than reporter.